In honor of National Siblings Day (had no idea that this day existed) I have decided to share this beautiful photo. I was making my confirmation and my mom insisted on taking a photo of the three of us all decked out in our Sunday best. The “wreath” on my head was my moms way of being different – every other little girl had a veil, I had a wreath. Needless to say baby’s breath was big back then and I had a lot of it tangled in my hair that day. Throughout my life these two have been a rock for me. I love them both very much and I feel very blessed to call them my siblings. Happy Siblings Day Bill and Jeff ~ sorry for the public humiliation. This photo makes me happy and laugh out loud. This picture really takes me back. …love it! This is how I remember you three. Forgive the outfits we proudly made you wear. At the time…yada, yada, yada!! Your mom was so proud of all of you as she is today minus a few plaids and baby’s breath. I think that wreath of baby’s breath built character. So very proud of the adults my children have become. Love you mom…we have lots of character apparently. Laughing and crying at the same time. Love you all so much! 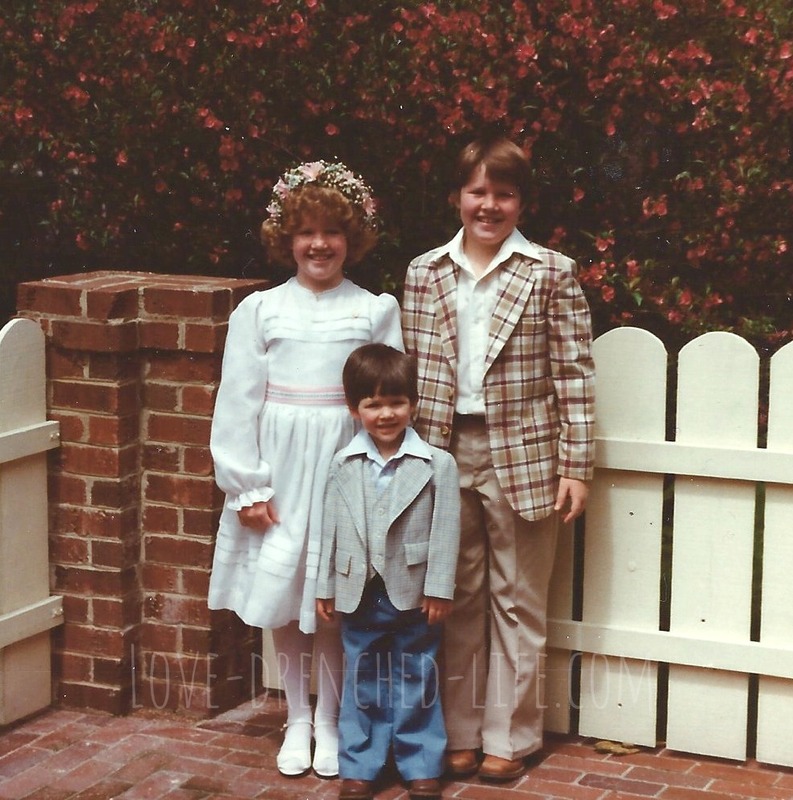 I posted an appropriate blog a few minutes ago … with no idea whatsoever it was Sibling Day! I will use this opportunity to call my own.